Millions and Millions of people travel from all around the globe to Dubai every year. While many of them travel for work/business, a majority of them are tourists or guests who visit this place with a tourist visa. There is something about Dubai which is why there are repeated visitors each year. In addition to that, tourism has become a major source of revenue for Dubai. While you may call it lucky for some who get the Dubai visa without any hassles, some struggle to even get past the application stage. Every wondered why do Dubai visas get rejected time and time again. You could be one of them who is committing a common mistake which is going unnoticed each time. We have prepared a list of common reasons for Dubai visa rejection which can help you spot your mistakes and be better prepared to apply for a Dubai visa. Females below the age of 25 and travelling without her parents or relatives is most likely to be rejected or the approval process may be delayed. Dubai does not approve of women travelling alone under the age of 25. You can name it as one of the strange laws of this Muslim country or one of the few aspects which you are unfortunately part of. Single Women under the age of 25, should apply for a visa only if you are travelling with your parents or relatives. If you have stated an unskilled profession on your passport, then your visa is most likely to be rejected automatically. It is mandatory to mention your profession in the Dubai visa application form. So if you are one of the unskilled laborers like a farmer or a laborer, there is a likelihood that your visa may be rejected most of the time. The authenticity of your passport is one of the essential things you should take care while applying for a Dubai visa approval. If you have a handwritten passport, then you literally forget your entry to Dubai. Also, handwritten passports from Pakistan, Bangladesh, and other similar Asian countries are frequently rejected by the UAE immigration. UAE is one of those strict countries who will not allow people with criminal or fraud backgrounds to be admitted in Dubai. Even if there has been a case against you for misconduct in UAE. Then you can count it as one of the reasons for Dubai visa rejection. Also, in addition, such applicants are blacklisted immediately. If you have applied for a Dubai tourist visa in the past but have been unable to travel to Dubai for whatever reasons, your visa is likely to be rejected until your previous active visa is cancelled. The duration of an active visa is 60 days. So always cancel your old visa before you apply for a new visa. Your travel agency or your sponsor should immediately go to the immigration office to clear the previous UAE visa or this may be one of the reasons for Dubai visa rejection. If the applicant has applied for an employment visa in the past but has not been able to enter the country for any reason. You are expected to cancel your previous visa either through a travel agent or your sponsor will have to cancel the same at the UAE immigration. Generally, the period of the validity of the work visa is 6 months. If you have been residing in UAE with a resident visa, but you have left UAE without cancelling your visa, then your new visa application may be rejected, unless you cancel your previous residence visa. You will have to contact the UAE immigration for the same. Visa applicants who have similar names, same date of birth, etc. are more likely to face a delay in getting an approved visa or in worst scenarios, it may even be rejected. There is nothing much you can do about it. These are one of the common reasons for Dubai visa rejection. If you have made any typo errors such as name, date of birth, profession code, passport number and expiry date, etc. Then most likely your visa could be delayed or even rejected. Be very careful while filling the visa application form and avoid typo errors such as the ones listed above. If you have submitted a scanned copy of your passport when you submitted your visa application online. Then most likely your visa application process may be delayed or rejected. This is one of the most common reasons for Dubai visa rejection. Make sure that the scanned copy of the passport which you are sending is legible and clear, and it does not contain any blurred lines or shadows. 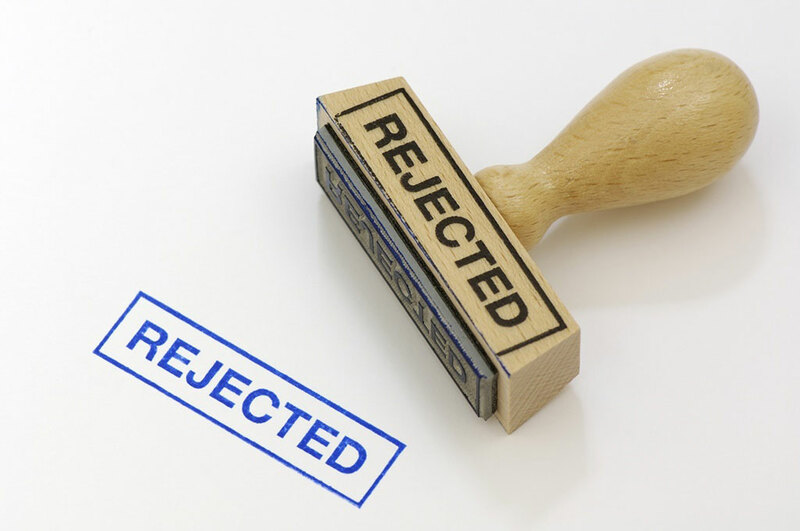 The above mentioned are some of the most common reasons for Dubai visa rejection. Many of these can be avoided if we are a bit careful with the visa procedures and guidelines. Our chances of getting a Dubai visa will rise significantly if we pay attention to each detail. Also, if you are not very confident, choose the right agent to get your visa application process done to avoid such errors.